I’ll be out and about in Washington, DC representing the great white north (CANADA!) 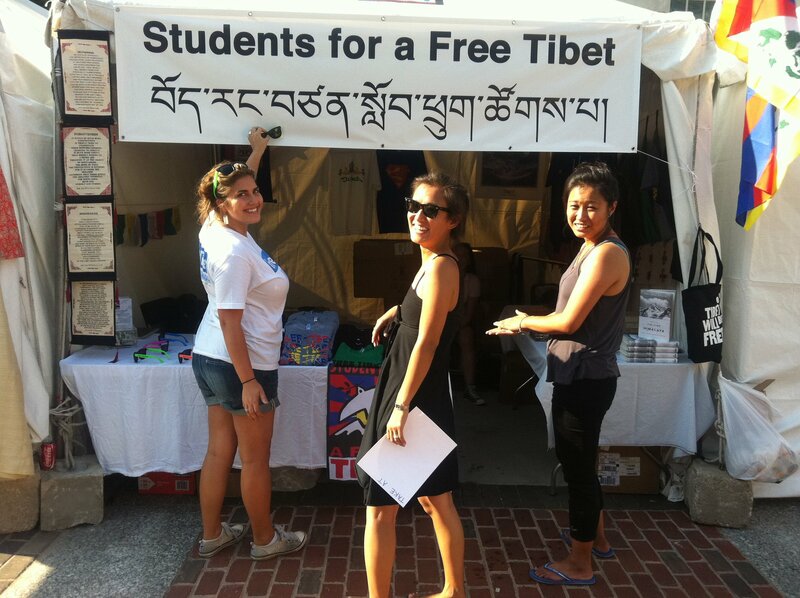 at the Students for a Free Tibet booth at the Tibetan Market near the Verizon Centre, where His Holiness the Dalai Lama will be giving teachings for the next two weeks for the Kalachakra. Not only will I be wearing the newest addition to my chupa (Tibetan dress) collection today, but I’ll be selling sweet SFT wear at the booth so that you too can look awesome! If you’re in DC for the teachings over the next two weeks, definitely come visit us at the SFT booth. We have great new clothing and gear (the new SFT sunglasses are sure to sell quick!) as well as new campaign materials to help you take action for Tibet – you can’t lose… FOR TIBET – FREE TIBET!